When you bring a securities fraud or negligence claim, it is highly unlikely that your case will be heard by a judge or jury in court. These cases are instead decided through a process called arbitration, which circumvents the traditional court system altogether. Virtually all brokerage client contracts contain a provision that requires arbitration. Investors may not be aware of this clause in their agreement. However, once it is signed, the investor and broker are bound to arbitrate any disputes that arise. 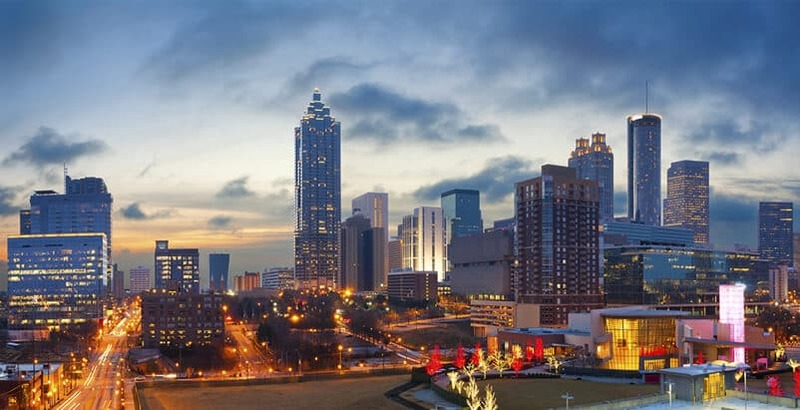 At The Frankowski Firm, our skilled Georgia FINRA arbitration lawyers provide quality legal representation for clients working through the arbitration process. We have a proven track record of helping investors obtain high-value compensation, through collaborations with some of the country’s best financial experts. Whether you are facing a simplified proceeding or full panel arbitration, we provide comprehensive guidance you can trust. Arbitration is a process for the resolution of civil claims, without a court proceeding. This alternate dispute resolution method does not involve a judge or a jury. Instead, an impartial arbitrator or panel of arbitrators considers evidence from both sides and makes a determination that is binding on all parties. This securities arbitration process is managed by the Financial Industry Regulatory Authority (FINRA), the largest independent securities regulator in the United States. 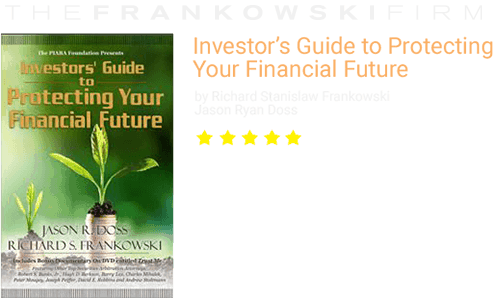 The organization regulates investment firms and professionals who engage in the purchasing and selling of securities. It also offers investors a level of protection from fraudulent investment firms and individual brokers who perform in an improper and unprofessional manner. For disputes arising under contracts with standard arbitration clauses, which applies to most investment agreements, the FINRA arbitration process is mandatory. Most investors have no option to pursue a dispute through any other means due to the arbitration provisions in their contracts. Our knowledgeable Georgia securities arbitration attorneys help clients determine whether they must utilize the arbitration process for their claims. We then provide high-quality representation. When brokerage contracts require arbitration proceedings, disputes are heard before FINRA-trained arbitrators. The organization maintains a roster of more than 7,000 professionals from diverse backgrounds to serve as neutral decision-makers during dispute proceedings. Arbitration is often intimidating for investors who are not familiar with the process. We seek to arm our clients with as much information as possible, so they are prepared for arbitration proceedings. The process is similar to what occurs within a court of law. Attorneys from each side make opening statements and call witnesses to testify on behalf of their clients. They can cross-examine these witnesses and present documents into evidence. Once closing arguments are completed, the arbitrator or arbitrators decide the case. Under some circumstances, investors may choose to pursue simplified arbitration, where the final decision is based solely on submitted documentation, with no requirement of a hearing. This type of proceeding is only allowed for controversies involving claims of $50,000 or less. In cases where fraud or negligence are established, arbitrators determine damage amounts by considering the amount of monetary loss caused by the investor’s action. Damage awards may also include compensation for disgorgement of profits, lost opportunity costs, and punitive damages. Arbitrators can include legal fees and hearing costs at their discretion. If you have suffered financial losses from an investment, the claims process can be difficult without assistance from a highly skilled Georgia FINRA arbitration attorney. 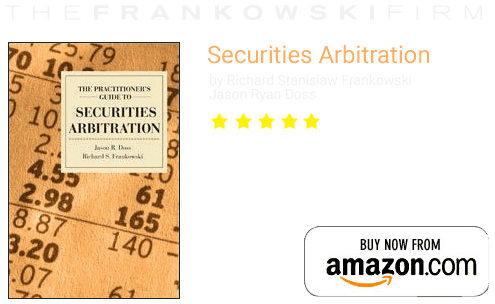 The Frankowski Firm’s experienced lawyers have helped numerous claimants in securities arbitration cases. We guide you through the process to ensure that your legal rights and interests are protected at every turn. Make an appointment by calling 888.741.7503 or by completing our contact form.